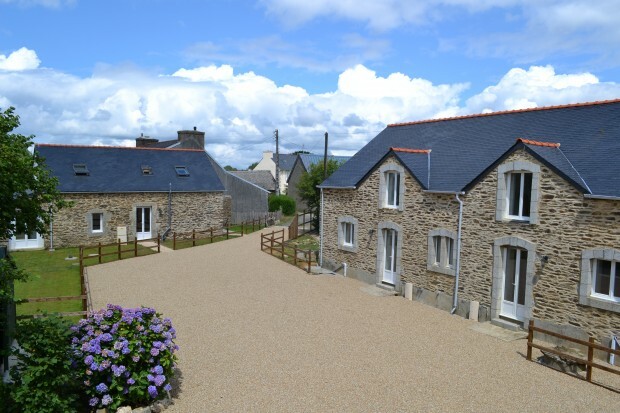 AHIB-3-M1491-2914561 Plonévez-du-Faou Area 29530 Exceptional Gite complex: a 4 bedroom farm house, 3 gîtes, all newly renovated with garden, patios, ready to be rented! 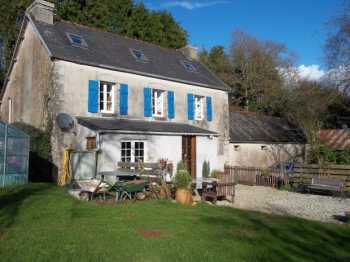 Ideal property for horses with lovely stone house, outbuildings, stables, and 2.7 hectares (ca. 7 acres)! This property offers a lot of advantages and potential, the location is very good, on its own but at the edge of a nice little village.